Born in the Kermanshah region in 1949, he grew up in a family that loved music, and was closely involved in Sufism. By the age of eight, his singing was already so highly developed that Shahram Nazeri was invited to recite from the works of the mystic Maulana (Rumi) at religious meetings. At the age of eleven, he began a systematic song and repertoire study under such masters as karimi, Borumand and Davami and in 1975 he won first prize for singing at the competition for traditional music, after which he joined the ensembles Aref and Scheida. 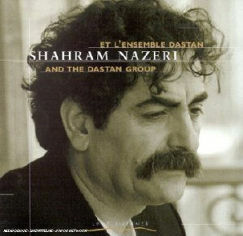 Shahram Nazeri's vocal art is shaped by mystical lyricism. For him, Iranian music is not intended as entertainment, but as a form of meditation, serving to "enhance the soul". In some of his concerts, he sings and performs Setar, in solo.